Welcome to Rose of Sharon Council No. 49 Knight Masons! On behalf of the Excellent Chief, officers and members of Rose of Sharon Council No. 49 Knight Masons, welcome! Our meetings are held at White Rock Masonic Lodge No. 234, 15405 Addison Rd, Addison, TX 75001. Perpetuate the ancient rituals of the Irish Masonic Canon, (the “Green” degrees) by promoting their frequent and regular conferral, and by its expectation that such conferral will be executed with an accuracy, a precision, and a dramatic power congruent with the highest traditions of the Masonic institution. Elevate to membership only those Freemasons who in their character and persons have amply and thoroughly demonstrated in their Masonic lives, by means of a faithful attachment to the institution, a true and honorable record of service to its goals, and a genuine dedication to its high ideals. Foster the regular exploration and study of the Masonic Tradition and Heritage by means of an aggressive program of scholarly inquiry and research, and to pursue that Masonic learning in the spirit of our Celtic forbears who kept the light of faith burning in times of darkness. 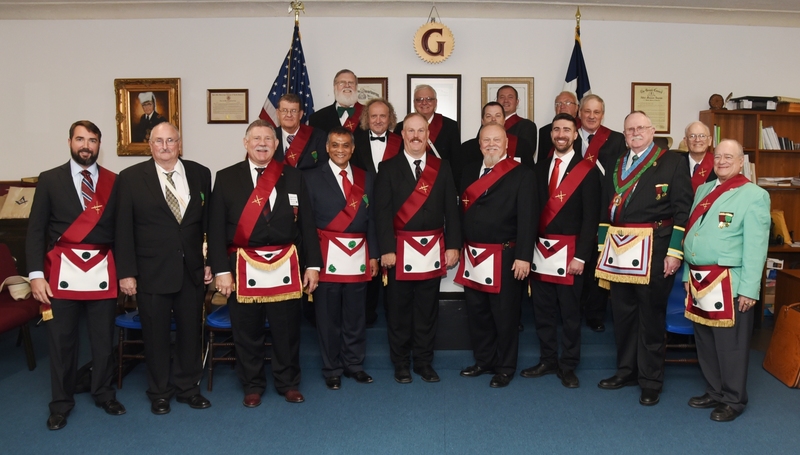 Encourage its members to discover in the pleasures and diversions of the festive board that warm fellowship and that joyous fraternity, which have ever characterized and actuated the great spirit of this Ancient Craft. Promote the charitable dimension so central to, and inherent in, Masonic life and tradition by contributing with customary Masonic liberality to those institutions, both Masonic and non-Masonic, which serve the needs of the greater community.